This book contains classic material dating back to the 1900s and before. The content has been carefully selected for its interest and relevance to a modern audience. Each publication has been professionally curated and includes all details on the original source material. 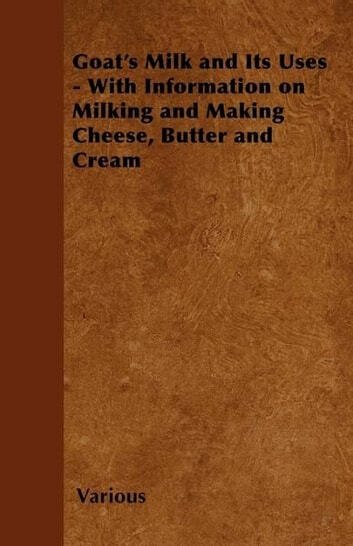 This particular instalment, "Goat’s Milk and Its Uses" contains information on cheese, butter and milk. 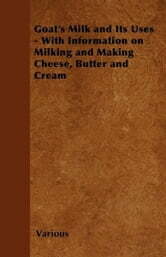 It is intended to illustrate the main uses of goat's milk and serves as a guide for anyone wishing to obtain a general knowledge of the subject and understand the field in its historical context. We are republishing these classic works in affordable, high quality, modern editions, using the original text and artwork. Edible Wild Plants and Mushrooms, Natures Suppermarket. Awful Disclosures of Maria Monk- In a Narrative of Her Sufferings.